Sarcoids is a form of a skin tumour that affects horses, donkeys, mules and other equids. The disease is problematic which makes it difficult to treat. 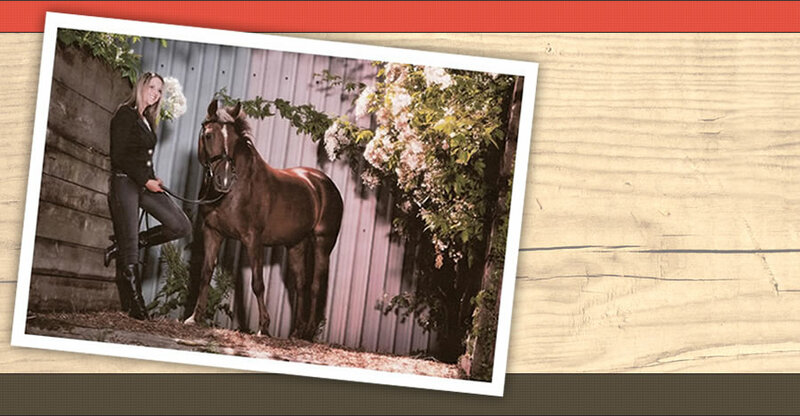 Around 3-8% of horses can be affected by the condition depending on the geographical differences. 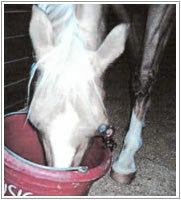 Back in 1997 I had a sarcoids case that put me on the map as to treating horses with this insidious complaint. Anyone who has a horse with sarcoids will acknowledge the awfulness of the symptoms especially if the sarcoids are on a specific part of the body where they can cause considerable pain and discomfort such as on the male sheath. I had treated sarcoids quite successfully prior to 1997, but the seriousness of Rosie's condition meant her case was closely monitored by her veterinarian. As the picture demonstrates, by the time I received the case Rosie's sarcoid was in an advanced state and was completely obscuring the eye. The treatment protocol which went on for many months consisted of specific mineral celloids, homeopathic medicines and the all important radionic treatment. During the treatment period I engaged in many telephone conversations with her kindly owner many of which were to reassure her that Rosie could recover. I admit this must take a lot of faith and commitment from the carer as they are at the sharp end of having to deal with the daily events such as bathing the affected area which can become quite a grim task. Suffice to say together we made it through and Rosie continued on for many years to live a very happy life, with no further re-occurrence of sarcoids. Another client who consulted me with a similar situation became so animated and excited when the whole sarcoid finally fell off, that she quite literally wanted to box it up as evidence and mail it to me, needless to say I hastily explained that it would not be necessary and that an updated photograph would be wonderful. Please contact Chrissie for further details.